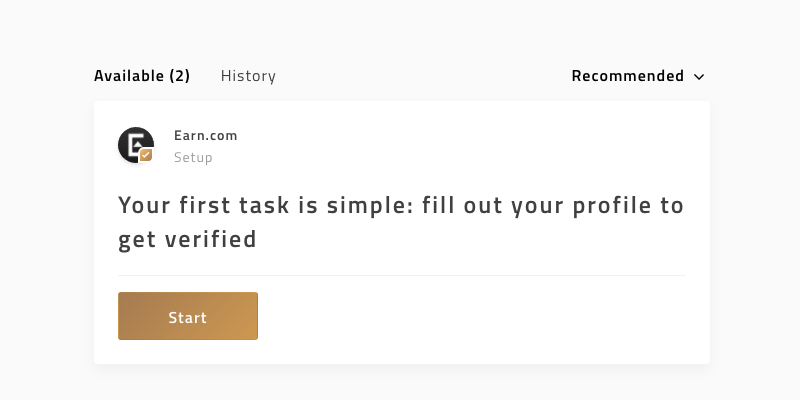 How do I verify my Earn.com profile? 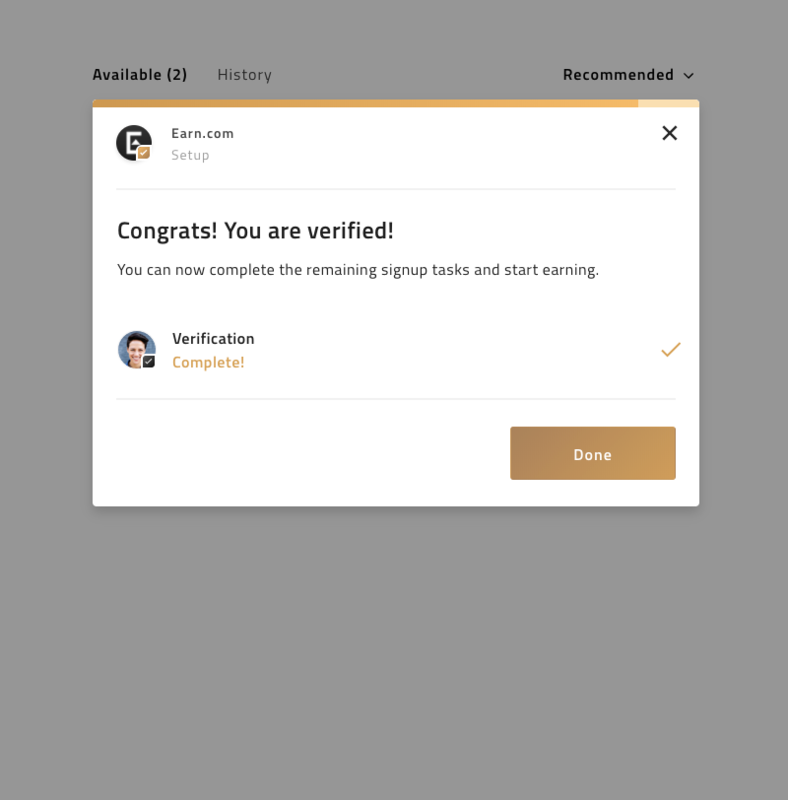 All Earn.com profiles start in an "unverified" state. 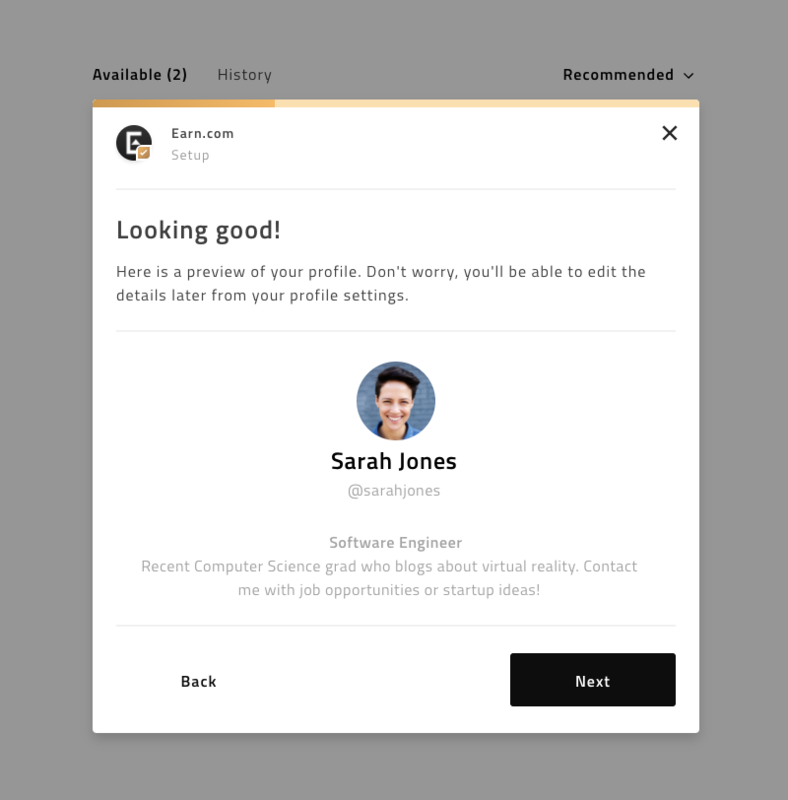 All profiles start in an "unverified" state, as shown below. 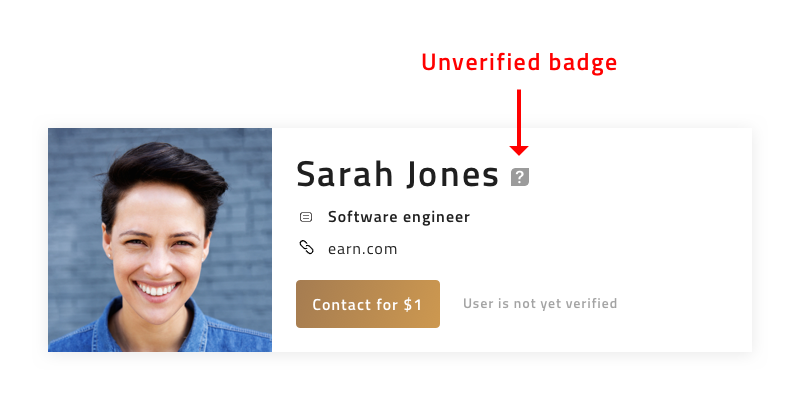 Because verified profiles attract more paid messages and tasks, it is in your interest to get verified. You will need to complete all of the following steps in order to get verified. 1) Start the verification task. 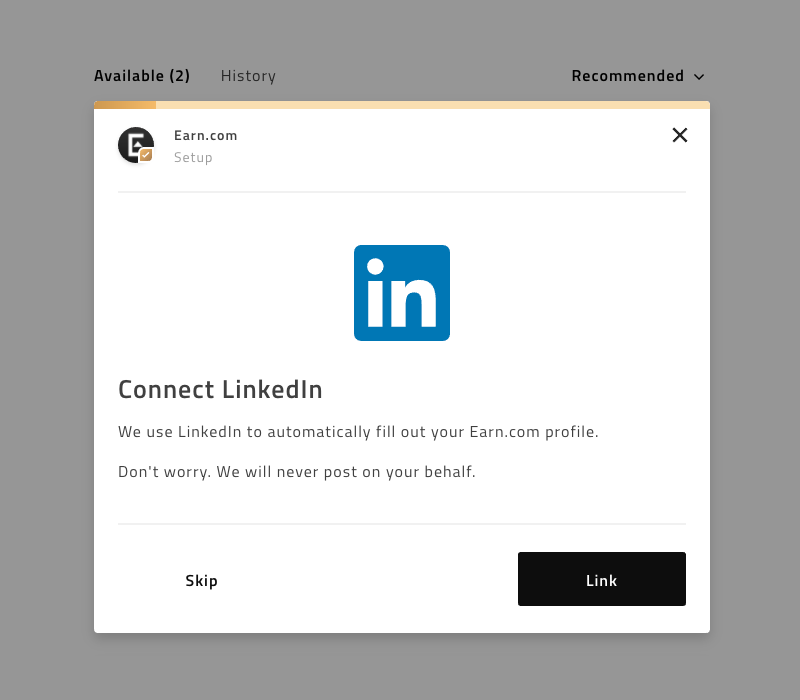 2) Connect a LinkedIn account. 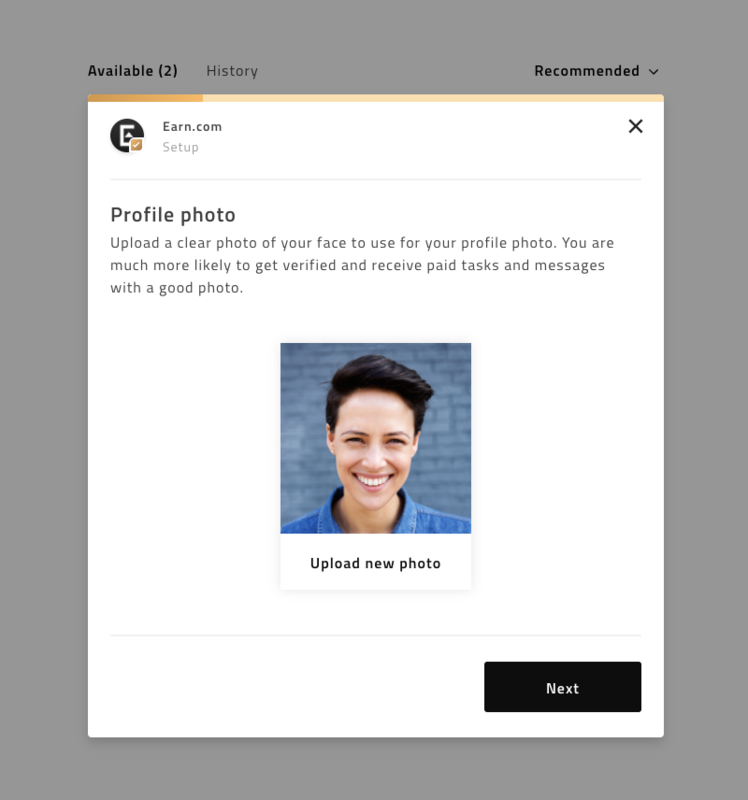 3) Add your profile photo. 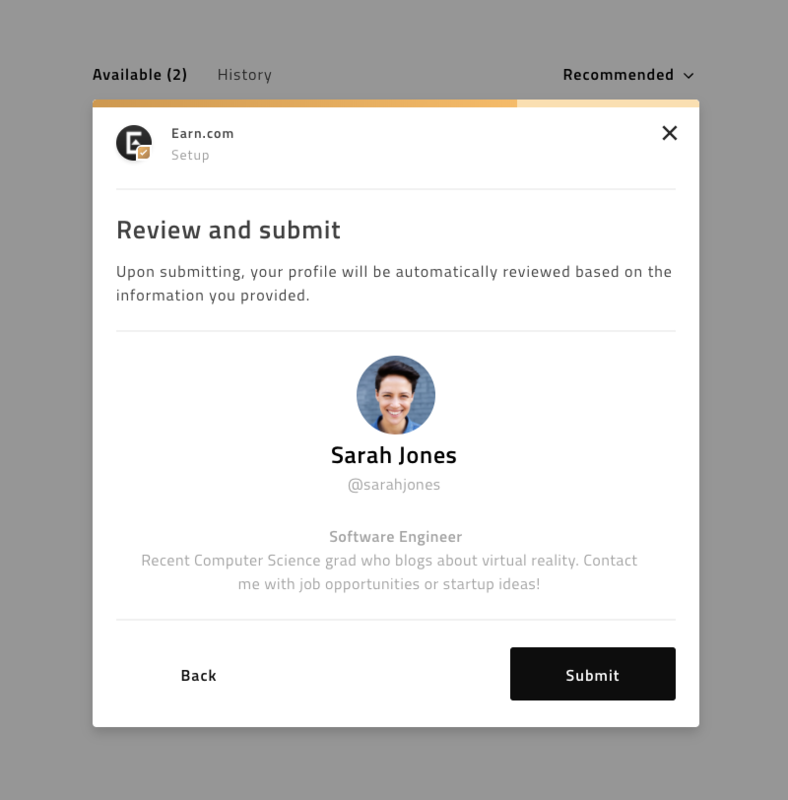 4) Review the preview of your profile. 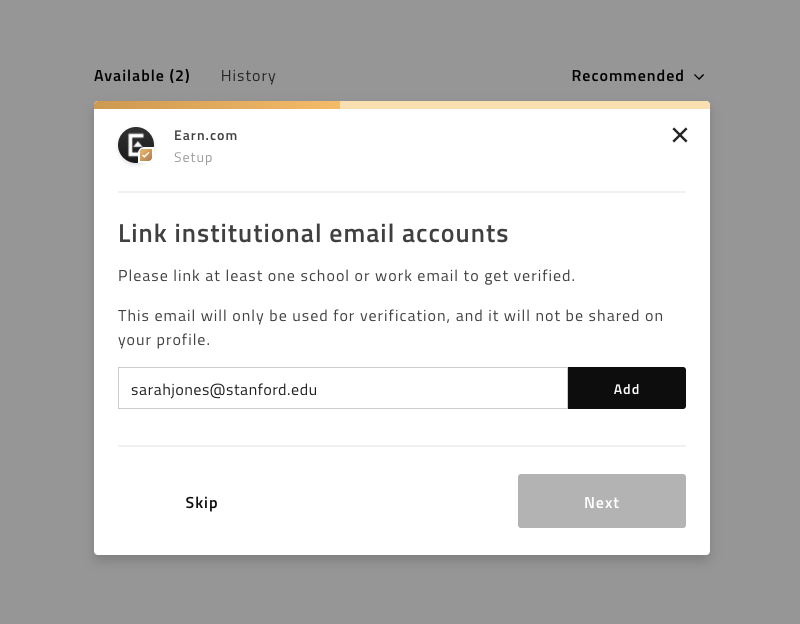 5) Add a work or school email address to your profile. 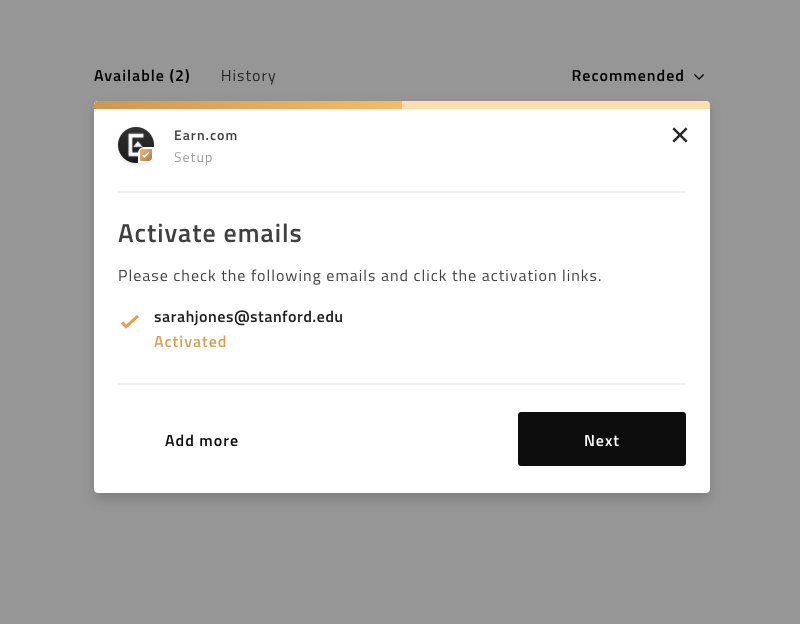 If you the work or student email address you are adding is the same one you used to sign up, skip this step and scroll down to Step 8. 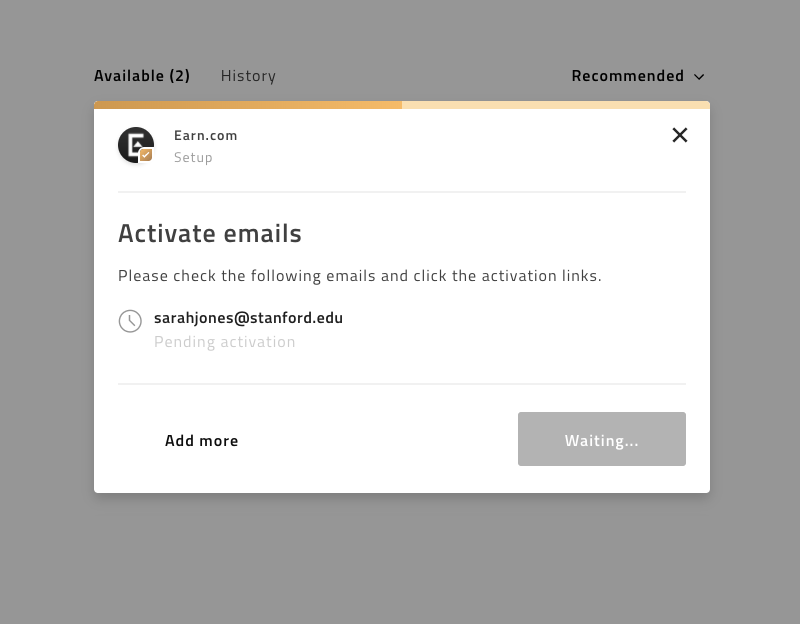 6) Check your email to activate it and add it to your account. 7) Once activated, you'll see a checkmark confirming it. 8) Review your profile once more and submit it for verification. 9) If you're verified, you'll see a confirmation message. 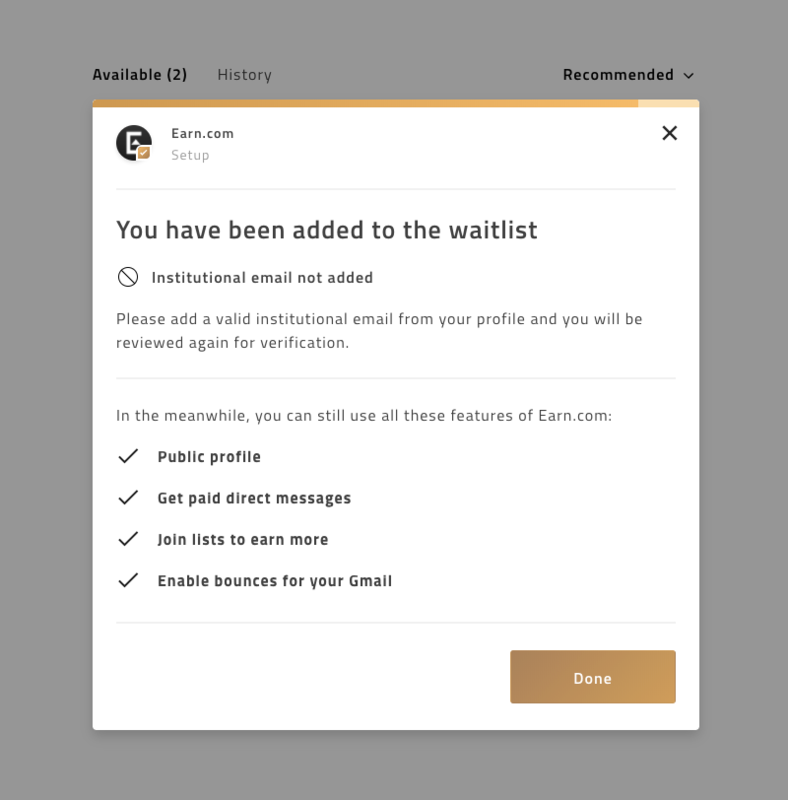 10) If there's an issue, you'll be added to our waitlist. Thanks and we hope to verify you soon!